Spain’s king Felipe VI, along with the former Catalan president Carles Puigdemont and the former Spanish Prime Minister at the time of 1 October 2017 referendum, Mariano Rajoy, are among the witnesses named for the upcoming trial against the independence case. Three jailed leader – Jordi Sànchez, Josep Rull and Jordi Turull – have requested their presence in the Supreme Court, and it is now up to the judges to accept or reject these proposals. 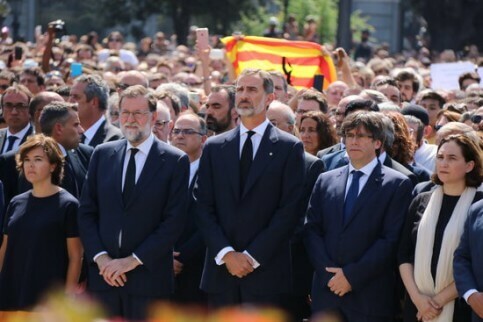 Other officials in pre-trial prison have also issued their statement of defense, including former vice president Oriol Junqueras and former minister Raül Romeva, who state they are ‘pacifists and democrats’. They both request their acquittal. Another individual who will face a trial, activist Jordi Cuixart, denounces in his statement of defense the ‘suspension of civil, political and democratic rights’ in Spain in order to ‘protect Spain’s territorial unity’.